Additional Info – Ofeg means ‘Destined for a long life’ and is a common name in runic inscriptions. 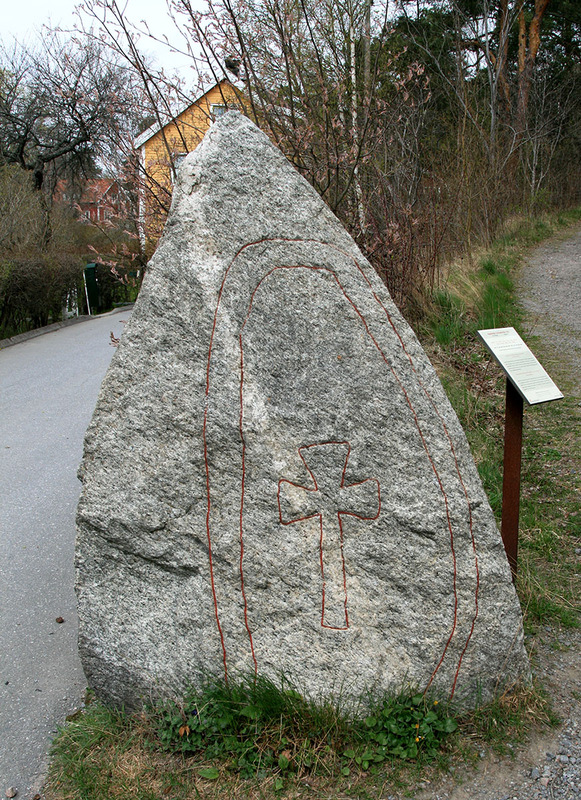 Rodvi is a Gotlandic name and this stone is the only example of it used on a stone in mainland Sweden. Tora is a shortened form of other names. This is the only stone found erected in memory of two sisters by their brother. It stands on its original site beside an ancient Viking Age road.